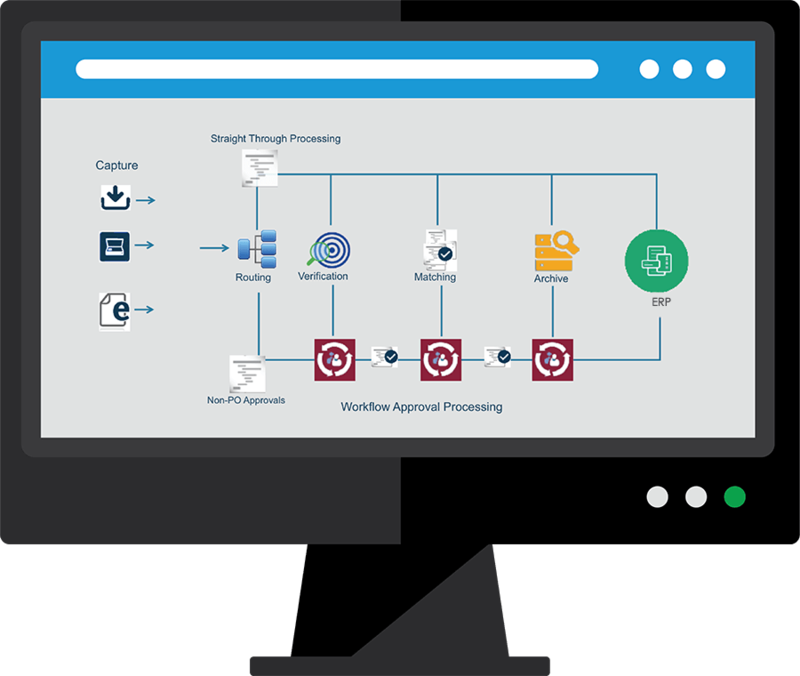 Drastically reduce wasted time and cost of manual and paper-based processes with end-to-end AP automation designed specifically for Sage systems. From automation AP workflow to B2B payments, clients enjoy 80% in savings, while taking the invoice processing cycles from days to just minutes. More timely and accurate information makes a significant impact on your bottom line. ACOM’s paperless payment solution is unparalleled, transforming your AP processing from a manually intensive strain to a completely automated business payment solution. One secure payment hub that handles all of your vendor payment types. We take on the burden of paying your supplier payments and you become 100% paperless on the first day. Paperless means just that - paperless. No matter how invoices enter your AP department, on paper or electronic format, powerful capture technology intelligently extracts the appropriate data and transforms the invoice into application ready information. Invoices are automatically routed for review and approval based on your specific business rules and criteria. ACOM's workflow gives you the tools to gain more control and faster processing which will reduce processing costs and minimize errors. End-to-end payables automation includes B2B payment processing. No more paper checks, chasing down payments, reconciling invoices and managing vendor enrollment. ACOM Electronic Payables eliminates the time, effort and 100% of the cost of processing payments. ​ACOM’s Sage ERP integration further extends functionality with Enterprise Content Management –taking users beyond AP to capture, process, access and manage information for any department, division or individual companies from a single platform. Find out why more financial professionals choose ACOM to streamline AP processing & reduce operating costs. For 34 years and over 4,000 clients globally, ACOM connects people, processes and payments with AP Automation, intelligent Workflow Process and Payment solutions - paperless processing without requiring costly modification to Sage ERP and other financial systems.